Striking Dinosaur Coprolite - REAL Dinosaur Poop! This is a very unique trace fossil. It is a striking dinosaur coprolite (poop) from the Jurassic of Utah. 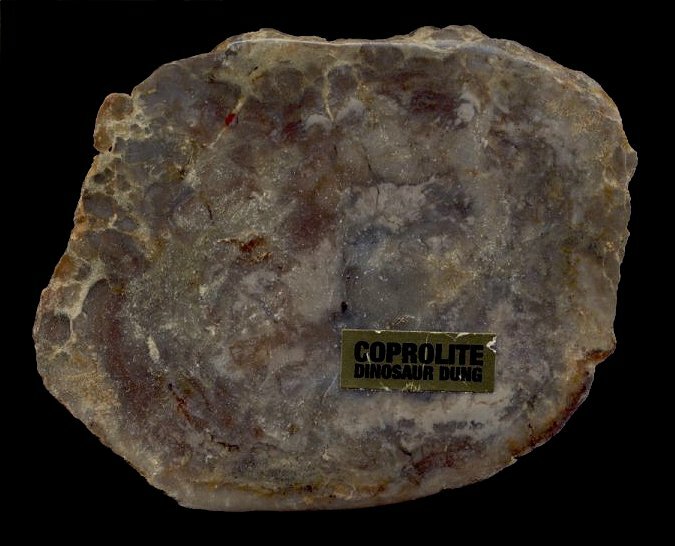 This distinct coprolite has been sliced with a diamond saw and then highly polished to reveal the natural color pattern of the mineralization in the interior of the fossil dung. This is a very cool example of an unusual fossil - what a conversation piece!